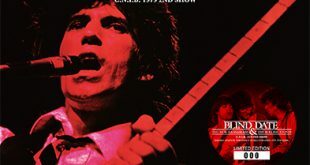 Disc One: We Got a Good Thing Going, Sometimes Happy Sometimes Blue, The Last Time, Family, Stray Cat Blues, I Don’t Know Why (I Love You, Baby), Stewed and Keefed, Blood Red Wine, All Down the Line, Sweet Virginia, Shine a Light, Shake Your Hips, I’m Going Down, Angie, Till The Next Time (We Say Goodbye), Time Waits for No One, Ain’t Too Proud to Beg. 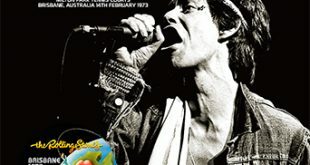 Disc Two: Miss You, Let’s Go Steady Again, Beast of Burden, Ain’t No Use in Cryin’, Slippin’ Away, Thru and Thru (Long Version), Love is Strong (Studio Rehearsal Take), Ivy League, Sparks Will Fly, Under the Radar, I Don’t Wanna Go Home, The Streets Of Love. 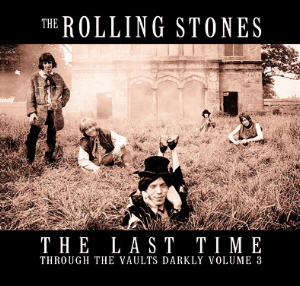 The Last Time: Through the Vaults Darkly Volume 3is the newest Rolling Stones’ release through Godfather Records, apparently the final release in this recent series. 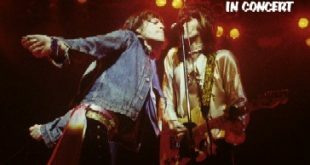 Enclosed in a foldout digi-pack cover, the inner sleeve notes that they ‘skipped the material that wasn’t worth releasing,’ which will presumably be followed by the sound of hands slapping the foreheads of collectors the world over. That said, this is a nice, succinct collection of high quality alternate takes and unreleased material that mostly have seen release elsewhere, though, the sound quality here is generally superior. 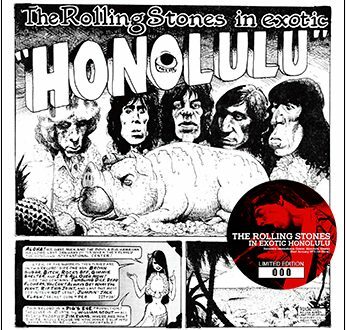 The second disc begins with an alternate version of the hit ‘Miss You,’ touches on a couple of highlights from the late ‘70s/early ‘80s (including an interesting alt take on ‘Beast of Burden’), then jumps to an excellent outtake of Keith’s ‘Slipping Away.’ This is the highlight of the second CD, as the remainder focuses on much later releases up to and including ‘A Bigger Bang,’ which ultimately don’t compare with what has preceded, but, are still of interest. 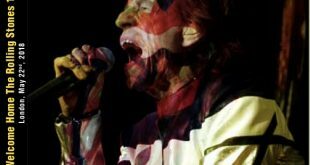 By the 00s, the Rolling Stones had settled into their roles as the elder statesmen of Rock, and while they were still pushing the ‘Greatest Rock ‘n Roll Band in the World’ angle, material like ‘Sparks Will Fly,’ ‘Under the Radar,’ and ‘I Don’t Wanna Go Home,’ while certainly enjoyable, most resembles a shadow of that once great band. If the third volume of a three volume series is, by necessity, scraping the bottom of the barrel, Godfather Records has certainly provided a service by compiling all of these rarities in one handsome package. The sound quality is always fantastic and the notes are interesting and mostly informative, even if the music itself is sometimes less than compelling. Received my copy of this 3rd and final installment today. I for one love these alternate takes and unreleased material. It really gives an insight into the development of a band at any point in their career. Godfather again impresses with their presentation. Simple yet elegant trifold packaging with interesting photos and informative notes make this one another winner from GFR.